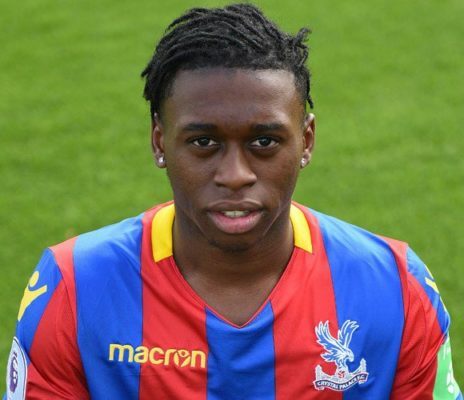 German Bundesliga leaders Borussia Dortmund have joined the race to sign highly rated Crystal Palace defender Aaron Wan-Bissaka according to various media reports emanating from the United Kingdom. The Sun claim that Borussia Dortmund want Aaron Wan-Bissaka to follow in the footsteps of England youngster Jadon Sancho who has been in sensational form for the Germans since his transfer from Manchester City at the start of last season. Sancho, 18, joined Borussia Dortmund on a free transfer after his Manchester City contract came to an end and he has grown to become an important first team member at the Signa Iduna Park. The young Three Lions of England player has played a big part in his club’s run to the summit in the German Bundesliga. Aaron Wan-Bissaka is enjoying a breakthrough season with Crystal Palace and he could also leave the Premier League for Germany just like what was obtainable with the aforementioned Jadon Sancho. Major Premier League teams like Chelsea and Manchester City are also keen on the 21-year-old. Wan-Bissaka is rated at around £40m by the Eagles who are under no pressure to sell the England u-21 international right-back. He has played all the games in the Premier League this term except one which he missed for disciplinary reasons. German Bundesliga leaders Borussia Dortmund have their work cut out ahead of their last 16-second leg clash with Premier League club Tottenham Hotspur in the Champions League on Tuesday night. The Germans trail 3-0 from the first leg meeting at the Wembley Stadium and they will have to score four goals to win their tie with Spurs. 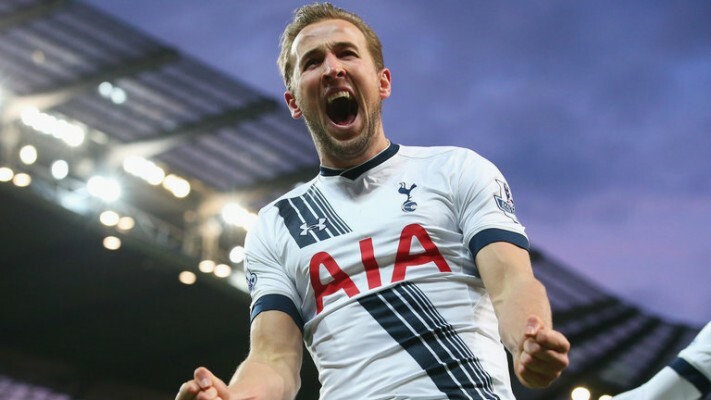 Premier League giants Tottenham Hotspur have been boosted with the return of star player Harry Kane who missed the first leg game between the two teams. The England national team skipper will definitely be available for the second leg meeting billed for the Signa Iduna Park. Harry Kane has scored two goals in three league games since his return from an ankle injury sustained during the 1-0 loss to Manchester United in January. Spurs will be hoping to return to winning ways after a return of one draw and two losses since the first leg win over Borussia Dortmund. The Bundesliga leaders have been handed the odds of 1.98 for a win by Bet9ja while a draw between the two teams is at the odds of 3.65. An unlikely victory for North London giants Tottenham Hotspur is at the odds of 3.75 according to the aforementioned bookmakers. German Bundesliga pacesetters Borussia Dortmund can extend their lead at the top of the table to six points when they take on Augsburg on Friday. Bet9ja is offering the odds of 1.67 for an away win for Borussia Dortmund while the hosts have been offered odds of 4.90 for a win. The possibility of a stalemate between the sides is at the odds of 4.00. Borussia Dortmund would be hoping to prepare for their Champions League last 16 second leg clash with North London giants Tottenham Hotspur with a win over Augsburg who are just one place and two points above Vfb Stuttgart on the German Bundesliga table. Vfb Stuttgart presently occupy the relegation/promotion playoff spot on the league table with 16 points from 23 games while Augsburg are on 18 points. Borussia Dortmund have it all to do in their second leg clash with Tottenham Hotspur after losing the first leg 3-0 in London with all the three goals coming in the second half. A win over Augsburg would go a long way to boost their morale ahead of the almost impossible mission against Spurs. With eleven games left on the league table, Borussia Dortmund are three points ahead of defending champions and nearest challengers Bayern Munich. 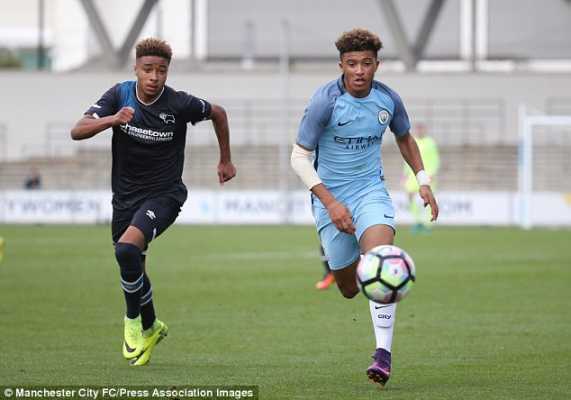 Borussia Dortmund sporting director Michael Zorc has revealed that young England forward Jadon Sancho will stay at the club for the foreseeable despite the interest of several English clubs including Liverpool. Zorc was speaking ahead of the resumption of the Bundesliga as he added that Borussia Dortmund is the right club for the player to continue his football development. The second half of this season’s German Bundesliga resumed on Friday night with the clash between hosts TSG Hoffenheim and Bayern Munich which ended in a 3-1 victory over the visitors with Leon Goretzka getting a first-half brace. The result ensured that Bayern closed the gap to Borussia Dortmund at the top of the table to just three points. Jadon Sancho has been in superb form for Borussia Dortmund in their run to the top of the table in the German Bundesliga this season. He has been one of the best players in the entire division and his form has not gone unnoticed by the major Premier League clubs. The 18-year-old has been a long-term transfer target for the Reds as well as English clubs like Manchester United and Chelsea. Sancho came through the ranks at Manchester City before joining Borussia Dortmund on a free transfer at the start of last season. 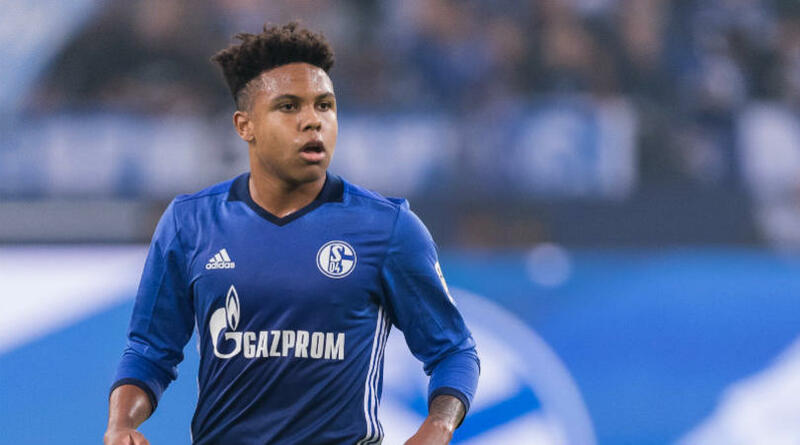 Premier League table toppers Liverpool have emerged as overwhelming favourites to sign highly rated Schalke 04 midfielder Weston McKennie in the current January transfer window. The Reds were confirmed as the front-runners for the young Bundesliga star NY bookmakers BetVictor. Other Premier League sides like Arsenal, Chelsea and Tottenham Hotspur are also keen to sign him. The interest from outside England comes in the form of German Bundesliga leaders Borussia Dortmund. According to the above mentioned bookmakers BetVictor, Liverpool are favourites at the odds of 4/1 to sign him ahead of the London trio of Arsenal, Chelsea and Tottenham Hotspur. The three clubs are at the odds of 8/1 ahead of Borussia Dortmund who are at 12/1 odds to sign him. Weston McKennie has proven himself to be a utility midfielder that can play as either a defensive midfielder or as a central midfielder. The American international player has made seven appearances for the national team of the United States of America in addition to 46 appearances in the colours of Bundesliga giants Schalke 04 since he broke into the first team since the start of last season. At the age of 20, Winston is certainly one for the future though he has already started to show his qualities at Schalke 04. Liverpool have to see off the competition from German Bundesliga leaders Borussia Dortmund in their pursuit of RB Leipzig striker Timo Werner. The Daily Mirror claim that Borussia Dortmund are the latest club to be linked with the petite attacker. The 22-year-old has been the subject of transfer interests from clubs like Liverpool and Bayern Munich. 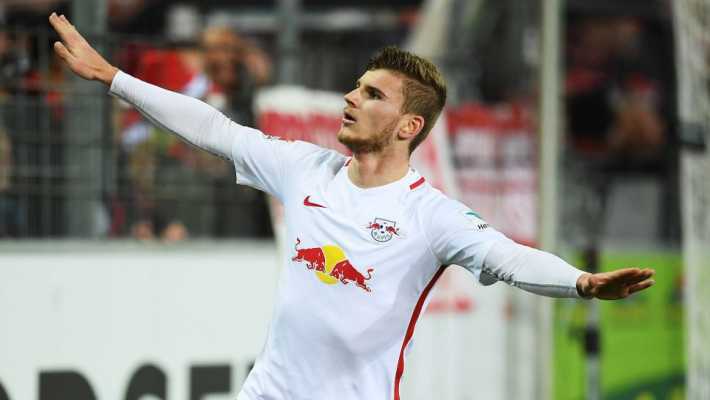 Timo Werner has less than 18 months left on his contract with RB Leipzig and he has so far frustrated his German club in their bid to get him to sign a contract extension. RB Leipzig chief executive Oliver Mintzlaff has already warned the player that he risked being sold in the summer if he fails to sign a new contract. Timo Werner has been in sensational form for RB Leipzig and its no wonder that a lot of European clubs are on his trail. He netted 11 goals in 17 matches before the new German Bundesliga season went on break last month. His RB Leipzig’s form this season is in stark contrast to the one that he endured for the German national team at last year’s FIFA World Cup tournament in Russia. Timo Werner didn’t score or assist any goal as Germany crashed out of the tournament in the group stage. 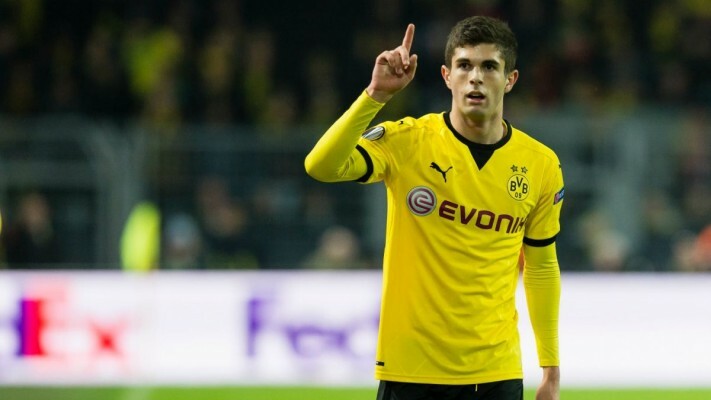 Emerging reports allege that German Bundesliga giants Borussia Dortmund have been kept waiting for a bid for star player Christian Pulisic from English Premier League side Arsenal. From every indication, the German Bundesliga team are now set to part ways with the United States international as they are waiting to receive a bid from the North London side. Reports from ESPN confirm the claim as they state that Christian Pulisic has a commercial draw in the USA which means they will be interested in having a deal for him from the North London side that is largely owned by American businessman Stan Kroenke. However, West London side Chelsea are reported to have had a bid of about €50m submitted with Liverpool also reported to have surrendered their interest in the star player. Meanwhile, there are hints that Borussia Dortmund will not have Christian Pulisic sold in the winter transfer window which reopens in coming days as they will only be interested in releasing him in the coming summer window. Therefore makes the race open again as the likes of Liverpool might be interested in the long run in addition to other unknown suitors. So far this season, Pulisic has scored three goals and four assists in the 18 appearances under his belt for Dortmund. Two European clubs have joined the queue of sides keen on a move for in-form for Borussia Moenchengladbach forward Thorgan Hazard ahead of the January transfer market. Italian media outlet Calciomercato claim that AS Roma and Atletico Madrid want to sign the 25-year-old. Thorgan Hazard is the younger brother of Chelsea talisman Eden Hazard. Both players were together at Chelsea between 2012 and 2014 before Thorgan Hazard initially joined Borussia Moenchengladbach on loan. The Belgian international player went on to make the loan deal permanent in 2015 and he has grown to become an integral part of the Borussia Moenchengladbach team since his transfer from Chelsea. His form in this season’s German Bundesliga campaign has led his club to the top three spots on the league table. Thorgan Hazard has scored nine goals and provided six assists in the German top flight this season and his red-hot form has not gone unnoticed by the European superpowers. Premier League table toppers Liverpool and German Bundesliga champions Bayern Munich were previously linked with the player. It was revealed that Thorgan Hazard has a £31m release clause in his contract with Borussia Moenchengladbach. He has just 18 months left on his current contract with the German club. German Bundesliga giants Borussia Dortmund have identified one of the stars of the new German top flight league as a potential replacement for forward Christian Pulisic. Borussia Moenchengladbach forward Thorgan Hazard has been in very good form for his German club this season with French media portal RMC Sport claiming that he has been targeted as the man to replace United States of America international Christian Pulisic if he leaves the Bundesliga leaders. Belgian international forward Thorgan Hazard has propelled Borussia Moenchengladbach to the top three spots on the German Bundesliga table with his impressive performances this season. His form for both club and country have been attracting the interests of a lot of clubs including the Borussia Dortmund. He could replace Pulisic at the Signa Iduna Park. 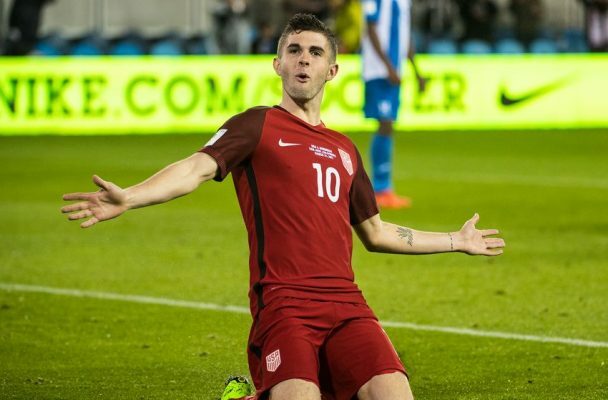 Christian Pulisic has strongly been linked with a move away with 18 months remaining on his Borussia Dortmund deal. Clubs like Liverpool and Chelsea are ready to swoop on a transfer for the 20-year-old forward. Pulisic has found first team opportunities hard to come by following the emergence of two forwards namely Jadon Sancho and Johann Bruun Larsen. Sancho and Larsen have been in very good form for table topper Dortmund this season. Premier League giants Chelsea have turned down a swap deal proposed by German Bundesliga giants Borussia Dortmund. 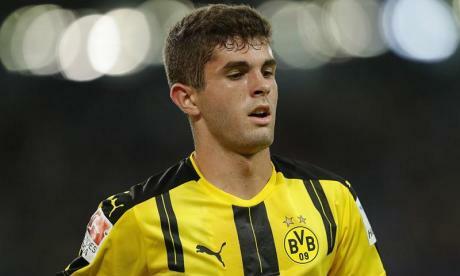 The proposed swap deal involve Christian Pulisic (Borussia Dortmund) and Callum Hodson-Odoi (Chelsea). Chelsea are one of the clubs in the running for Borussia Dortmund forward Christian Pulisic who has just 18 months left on his contract with the Signa Iduna Park outfit while young Chelsea winger Callum Hodson-Odoi has been linked with an exit from the club after growing frustrated with a lack of playing time under new Blues manager Maurizio Sarri at Stamford Bridge. The proposition from Dortmund involves both players moving in the other direction but Chelsea were opposed to the idea. This was confirmed by journalist Nizaar Kinsella of popular media outlet Goal. It was also revealed that several European heavyweights are keen on a transfer for exciting Chelsea prospect Callum Hodson-Odoi. Apart from German Bundesliga table toppers Borussia Dortmund, the trio of Spanish giants Real Madrid, Italian Serie A champions Juventus and German champions Bayern Munich are also interested in the young English winger. Hodson-Odoi could be the key to the signing of American forward Pulisic for Chelsea. The Borussia Dortmund player has been the subject of interests from several English top flight clubs including Chelsea.